RCMP officers are born all over, but they are made here. The RCMP Training Academy “Depot Division” has been training the brightest and best in Regina since 1885. Take a driving tour of Depot and observe cadets undergoing their intense education. Catch the Sergeant Major’s Parade happening Monday through Friday at 12:45 p.m. on the historical parade square. Visit the RCMP Heritage Centre and learn the history of the Force with a guided tour of the Heritage Centre’s six galleries featuring the history of the Mounted Police and its evolution from a frontier police to a modern police force known the world over. 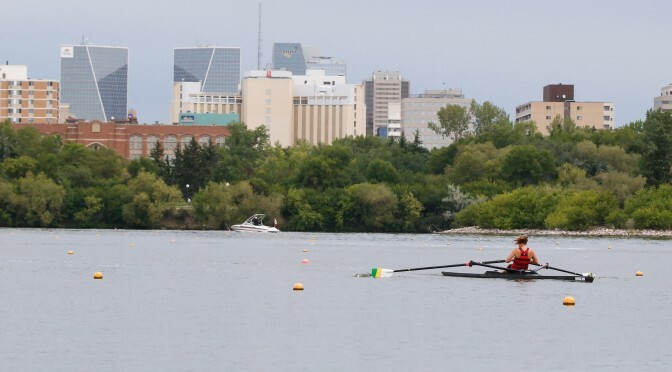 Lose yourself in Regina’s Wascana Centre. Located in the heart of the city, this elaborate park ecosystem has 2,300 acres of green space, making it one of North America’s largest urban parks. Visit the reowned attractions in the park such as the Saskatchewan Legislative Building, Royal Saskatchewan Museum, Saskatchewan Science Centre and Kramer IMAX Theatre, MacKenzie Art Gallery, and the Conexus Arts Centre. Venture through this national historic site and provincial heritage property, built in 1891. Set your own pace with a self-guided tour, try geo-caching, have a picnic, search for Jocko the mischievous monkey, or explore the new Edwardian Gardens. Known as the marble palace, the Saskatchewan Legislative Building is the largest legislative building in Canada and features 34 different types of marble from around the world. Be inspired by the thought provoking art showcased at the MacKenzie Art Gallery. The gift shop features artists from all over Saskatchewan and Canada and is a great place to shop for handmade and high-quality gifts. Journey through two billion years of Saskatchewan’s geological and early natural history. No visit is complete until you meet Megamunch the robotic T. Rex, and Tickles the Triceratops. Welcome to the city that cheers the loudest. A Rider home game is an experience like no other as you find yourself getting caught up in the energy and excitement of the CFL Saskatchewan Roughrider superfans. Be sure to wear green and instantly become part of a community whose roar can be heard across the country. Learn and play together at the Saskatchewan Science Centre. The interactive exhibits encourage experiments, the stage shows will wow you, and the life-like action of the Kramer IMAX Theatre will thrill you. The Saskatchewan Sports Hall of Fame recognizes sport excellence, preserves sport history and educates the public on the contribution of sport to Saskatchewan’s cultural fabric. Explore the stories and artifacts of the more than 480 Hall of Fame inductees from 1966 to present. Casino Regina is housed in Regina’s historic Union Train Station, a National heritage site. The Casino boasts over 800 slot machines, more than 35 table games, and a Vegas-style show lounge. For more info go to Tourism Regina.